site2017 was a difficult year for me, for personal reasons. So I didn’t blog that much, to be honest. I was renewed again as Microsoft MVP, an excellent way to start the year! Hooray! In 2017 my second hardcopy book, Mastering ASP.NET Core 2.0, came out. It was tough, as it is a long book, and it spread from ASP.NET Core 1.1 to 2.0, but I am generally pleased with the result. You can get it in print or ebook format. I started, with the support from Fusion Cowork and the Aveiro development community, the Fusion/Aveiro Tech Talks here in Aveiro. We’ve had 3 sessions so far, and more are on the list. Entity Framework Core 2 was released and I talked about it. Also posted about ASP.NET Core 2, but not as much as I would have liked to. I also covered Postal.NET, my pet project for writing decoupled .NET standard applications. Started writing content for Stackify, and I got two posts out: .NET Core 2.1 Release: What to Expect in 2018 and How to Call WCF Services and Create SOAP Services with ASP.NET Core. More to come! In early 2017 I made some prophecies about what technologies would be cool that year. Looking back, I can see that I got some of them right, others probably not. I didn’t cover R or WebAssembly, and I was happy I didn’t, as I really didn’t see much going on around them – but I may be wrong, though. I also left out Blockchain, which seems to be the next cool thing. Maybe this is the year for them! I didn’t write a single post on ASP.NET WebForms or SharePoint; this probably means that they are dead to me. I basically only work with ASP.NET Core or .NET Standard nowadays. I would like to resume my old classics – NHibernate pitfalls, Entity Framework pitfalls – plus MongoDB in .NET, Visual Studio tips and Java vs C#. All are in the pipeline, plus some C# language improvements and some MediatR, NHibernate and Elasticsearch too! Something that I’ve been working on is the list of Portuguese (meaning, written by portuguese-speaking developers or in portuguese) development sites: https://weblogs.asp.net/ricardoperes/sites-portugueses-sobre-desenvolvimento-de-software. I would really like to keep this up to date! For this to be helpful, however, it should only contain “live” sites, those that have activity. I count on you folks to keep me posted on that! Anyway, thank you all for reading this blog, you’re the reason I write it! Keep dropping by and sending me your comments/questions/corrections/complaints! Entity Framework Core, as of version 2.0, does not support enlisting in ambient transactions, like those provided by TransactionScope. It is being tracked by issue #9561. This is by design and is related to a limitation of System.Data.SqlClient, which will be fixed when .NET Core 2.1 comes out. The ticket for SqlClient is #3114. 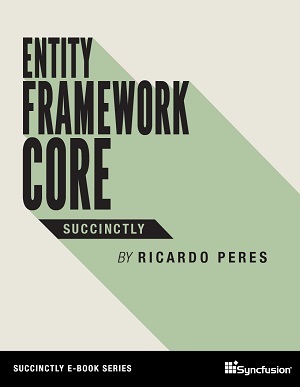 I already talked about the hard relation between Entity Framework and TransactionScope before. This time, however, with EF Core 2.1, it seems that it will be fixed, and this is a good thing. For now, however, you will have to roll out your own transaction management strategy which includes starting your own transactions explicitly and either committing them or rolling them back at the end. Please refer to the Microsoft documentation available at https://docs.microsoft.com/en-us/ef/core/saving/transactions. My previous post explained how to setup soft deletes for queries automatically. This time, I’m going to talk about the other part: actually replacing a delete for an update that sets the is deleted column. This way Entity Framework will know what to do and just update them instead of deleting them. Next time, they won’t be loaded as they have been marked as deleted. Entity Framework Core 2, already covered here, includes a cool feature called global filters. By leveraging global filters, we can apply restrictions automatically to entities, either loaded directly or through a collection reference. If we add this to shadow properties (in the case of relational databases, columns that exist in a table but not on the POCO model), we can do pretty cool stuff. In this example, I am going to create a soft delete global filter to all entities in the model that implement a marker interface ISoftDeletable. So, for each entity known from the context we add a shadow property called IsDeleted of type bool. Of course, needless to say, it must also exist on the database. The reason I’m making it a shadow property is to avoid people tampering with the entities, by setting or unsetting its value. This way, the restriction is always performed and it is invisible to us. After we create the property, we add a restriction to the entity’s type. Simple, don’t you think? This way, if you want to enable or disable it for a number of entities, just have them implement the ISoftDeletable interface.